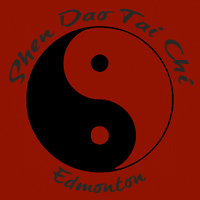 Our academy teaches the 108-move Tai Chi style developed by Master Moy Lin-Shin (1931-1998). In the spirit of Master Moy, our academy is run by volunteers none of whom receive a salary. Our fees pay for the rental of the facilities that we use and for admnistrative expenses. We are an associate member of the International Association of Tai Chi and Lok Hup Academies. Enable people of all ages to learn and enjoy the practice of Tai Chi and related arts. Train volunteer instructors to teach Tai Chi. Promote the mental and physical well-being of the citizens of our community. Promote health aspects of Moy-style Tai Chi. Currently we offer Beginner & Intermediate Tai Chi classes. If you are interested but uncertain whether you'd want to enroll in a class, you are welcome to come to any of these classes as an observer. 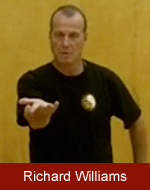 Our senior instructor is Richard Williams. Richard started Tai Chi in 1983 at the age of 25, and started Moy style tai chi when he met sifu Moy Lin Shin in 1984. He studied Tai Chi, Lok Hup, Chi Kung and meditation until Mr. Moy's death in 1998. 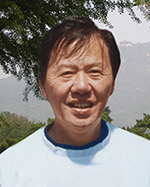 In 2000, he started studying Chi Kung meditation with Dr. Steven Aung and continues to do so. Richard writes: "Both of these teachers have passed on to me that serving others is one of the most important things in life, and that is the main inspiration behind creating the Shen Dao Tai Chi and Lok Hup Academy."